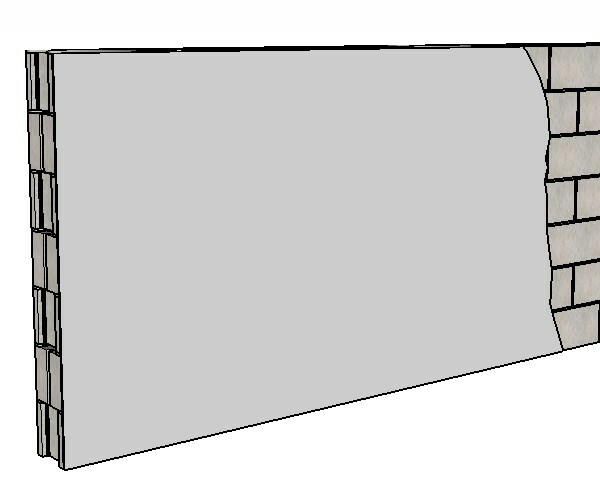 This is for a block wall and the same techniques will work for a concrete wall as well but does have a few different variables. 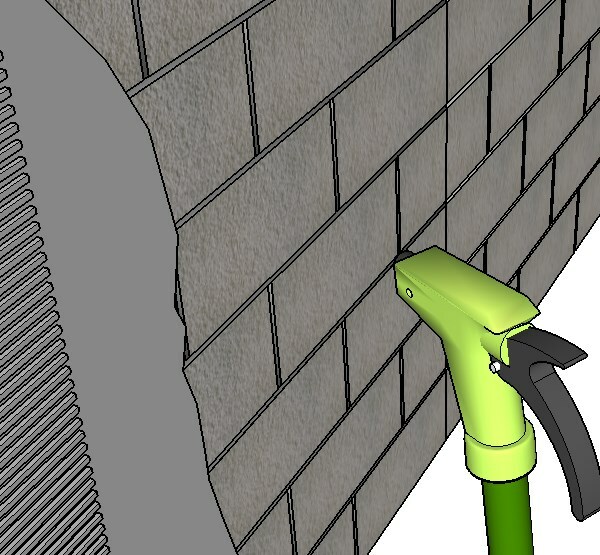 ​Wet Down The Wall: You will want to make sure that the wall gets some moisture before you start applying any of the mud to it. It will help the mud stick to the wall and prevent it from drying out too quickly which could result in cracking. need to be careful on how much water you use on the wall because if the walls are too wet it will slide off and if the walls are too dry the mud will have a hard time sticking to it. ​Just be sure that after you wet the wall you allow a little bit of time for the water to soak in before applying any of the material. It should not be wet to the touch but the block will be darker in color. You may need to add water a couple of times on hot days because it will soak up the moisture very quickly. 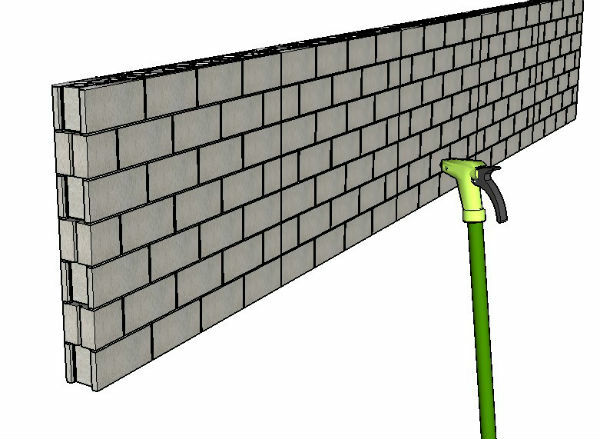 As you make your way down the wall, keep misting it to ensure that it is retaining enough moisture. 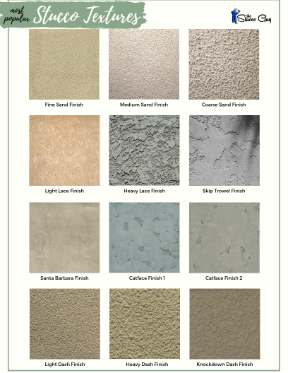 ​Make Your Mix A Little Rich: The basic stucco recipe is 3 parts sand to 1 part Portland cement but for block walls, a little bit richer mix will help the mud to stick better. A rich mix is simply adding a little more Portland cement in the recipe. I wouldn’t go as far as a 2 to 1 ratio, just a little more to make it adhere better. Lime would also help to make the mix a bit stickier and just a little bit will go a long way. 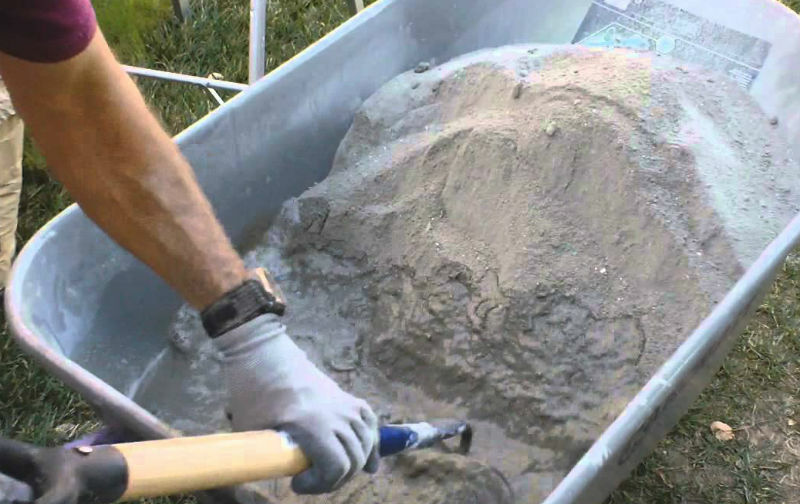 ​You can mix in a bucket, a wheelbarrow or a larger mortar mixer, it doesn't really matter which method you use. ​Start Applying the Mix To The Wall: Start to apply the mud to the wall, starting from the top and working your way down (typically for larger walls standing 6′ high or more). You can use a hock and trowel to lay it on (spraying it on will also work) and try to maintain a 3/8″ thick coat all the way throughout the process. You can use a depth gauge to help determine that you are within that depth. ​Add The Scratch Marks: After you have an even and uniform amount of mud on the wall, you will want to use a scarifier, notched trowel or something along those lines to make the scratch marks in the material. It works best if the mud sets up for 5-10 min before scratching the surface. 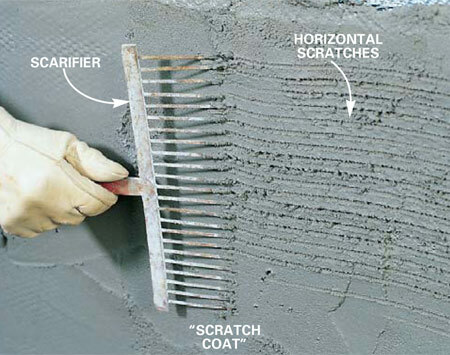 You can scratch it right after you apply it to the wall but it will take a bit more control on your part to prevent the scratcher from digging into the cement. ​Keep Working You Way Down: Like I mentioned earlier, keep misting the wall as you go to keep the bond strength high. You don’t need to use as much water as you did the first time around, just enough to re-hydrate the wall again. If it is drying out fast (like on a hot day) then use a little more water so the block stays a darker in color for long enough to spread that section.